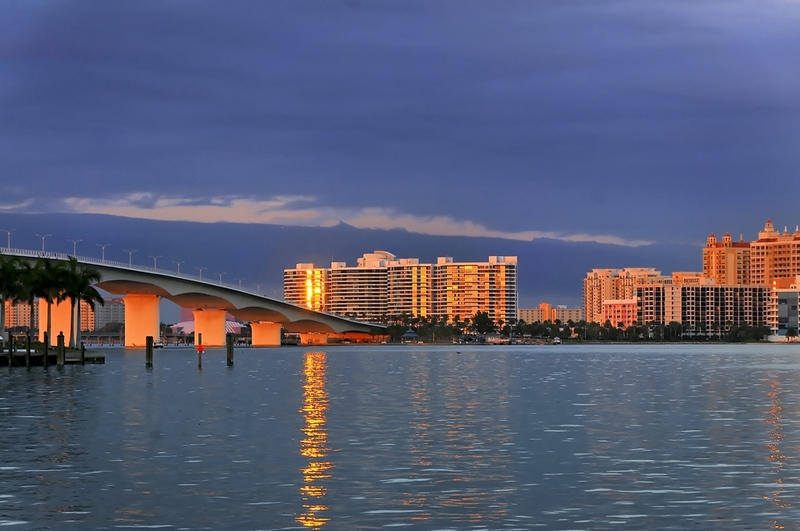 From the broad beaches of its barrier islands to the vibrant cultural landscape of its downtown core, Sarasota offers an unparalleled array of opportunities for residents and visitors alike. Split by the emerald waters of Sarasota Bay, the city has two distinct faces: the beachfront communities of its barrier-island "keys" and the historic neighborhoods that spread outward from its business district. Between them, these areas contain a plethora of prime Sarasota homes for sale. Read more about Sarasota Homes For Sale. Listed below are homes and condos for sale in Sarasota. These Sarasota real estate listings are updated instantly with any new activity. Sarasota is not a difficult real estate market to learn. With the help of a knowledgeable Realtor and a little leg work you can learn the Sarasota market pretty quickly. Sarasota, Bradenton, Venice and the barrier islands offer something for everyone, from palatial mainland estates built during the 1920s and downtown condominiums with access to big-city culture to newly-built single-family homes in Lakewood Ranch and waterfront condo complexes with their own private boat slips. Many of the city's most desirable properties can be found arrayed around golf courses or tennis facilities, some of which have earned high marks from both the US Tennis Association and the PGA in the past, on its verdant keys. You don't have to own a boat to live in Sarasota, but you'll certainly get more out of life here if you do. The clear waters of well-protected Sarasota Bay contain some of the most productive redfish and speckled trout fisheries in Florida, attracting tourists to the more popular fishing holes and lifelong residents to little-known areas where the sea grasses that local fish favor grow in particular abundance. Pick up one of the thousands of homes for sale in Sarasota today, spend some time getting to know the area, and stake out your own bounteous fishing spot before they're all taken! Greater Sarasota is home to hundreds of thousands of well-heeled people and has the shopping and dining amenities to prove it. Despite the proliferation of upscale boutiques and fine-dining restaurants, the area remains quite affordable relative to nearby Tampa and St. Petersburg. It's also more pleasant to patronize centrally-located businesses here than in those larger, more sprawling metropolises. A collection of pedestrian-friendly walkways and roundabouts, many of which host pocket parks and public art installations, defines downtown Sarasota. With direct waterfront access, it's possible to travel by boat from here to one of the city's keys and back again. For a medium-sized city, Sarasota's high culture is quite well developed. It maintains an enviable collection of early 20th-century residential architecture, including Ca' d'Zan, one of Florida's most famous and distinctive private residences. The Sarasota Opera and Asolo Repertory Theatre put on regular shows for local residents and tourists alike, and the city welcomes an influx of film buffs each year for its eponymous film festival. Start looking at homes for sale in Sarasota today and embrace your future. Developed in earnest during the early 20th century, Sarasota's mainland features a diverse mix of housing types. A robust collection of newer properties, many of which contain massive single-family structures that evoke the palatial second homes of the Gilded Age elite, spreads north and south along the bay. Closer to the city's business district, most residences occupy mid-rise and high-rise condominium buildings with stunning views of the bay and glimpses of the Gulf beyond it. Inland, the city's historic residential neighborhoods feature more modest ranch-style houses that sell for just a fraction of what similar properties fetch in Naples, Palm Beach or Miami. Many Sarasota homes for sale, especially those built during the mid-20th century, evoke the distinctive Sarasota School of Architecture. This style blends the tropical elements common to Key West and other areas of southern Florida with the space-age flair that pervaded most new residential construction from the 1950s and 1960s. It's not unique to residential buildings: Many important local edifices, including Lido Key's Umbrella House and the Sanderling Beach Club, proudly wear the style on their sleeves. Some Sarasota homes are more impressive than others. For instance, the audacious Mediterranean flair of John Ringling's massive Ca'd'Zan estate draws thousands of architecture buffs to the region each year. Ca'd'Zan's neighborhood features several other homes of a similarly impressive nature, many of which remain in private hands today. Of course, there's more to life in Sarasota than distinctive architecture. The area offers a smorgasbord of recreational opportunities, from golf on one of more than a dozen championship-quality local courses to adventure sports on the warm waters of the Gulf. The former is best experienced at either the Longboat Key Club, which boasts two masterfully-designed links frequented by professionals during the off-season, or the reasonably-priced Sarasota Golf Club. The latter is the province of the dozens of outfitters that offer everything from deep-sea fishing excursions to thrilling parasailing sessions on the bay. Sarasotans relax every bit as much as they play. Major local shopping districts include downtown Sarasota, St. Armand's Key and Lido Key, all of which offer multiple fine-dining restaurants and a bevy of nightlife options.